With the Learning Library’s dinosaur resources, students travel back in time to the Jurassic era when colossal creatures would roam the Earth. 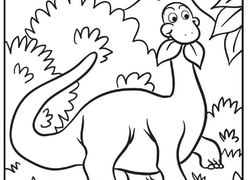 There are over 200 printable worksheets available including many coloring pages ready to be brought to life with colour. The dinosaur resources spark curiosity and creativity for elementary students of all grade levels. 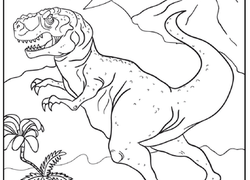 The mystery and history of dinosaurs are popular among young students—and for good reason. The magnificent creatures were a strange blend of bird and lizard that were on the top of the food chain and existed over 65 million years ago. 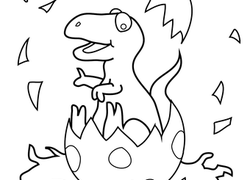 The Learning Library resources on dinosaurs introduce kids to prehistoric times with hundreds of printable worksheets. The dinosaur pages available make for interesting reading material. Students will be enthralled learning about the size and defence mechanisms of the xenoceratops. 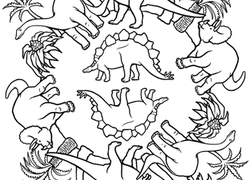 Other maths-centered worksheets help kids practise their subtraction with stegosauruses. Many of the assignments are interesting fact-sheets such as the T-Rex SkeletonAssignment, which shows students how the exemplar of dinosaurs may have been misrepresented in movies. 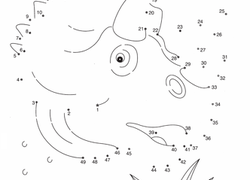 There is also an entire alphabet of pages available to show young children the shapes of letters using dinosaurs. Many of the pages are visual, like the connect-the-dot worksheets and variety of coloring practise. 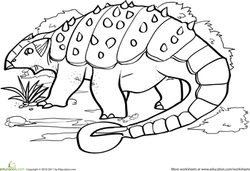 Kids can bring a strange spiked ankylosaurus and friendly plant-eating brontosaurus to life. 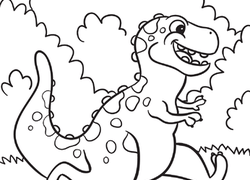 Whether students are learning fun facts or sharpening their artistic abilities, the Learning Library’s dinosaur resources provide popular assignments kids love.